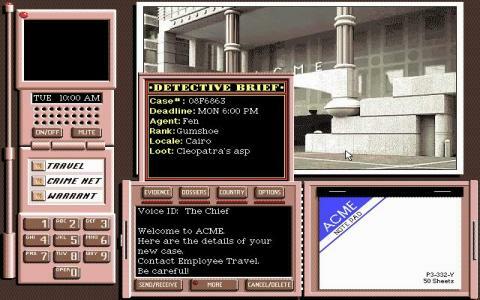 The notorious thief and cunning criminal Carmen Sandiego has thrilled and perplexed gamers for years now, in an extensive series of edutainment titles that has included the likes of Where in Time is Carmen Sandiego? 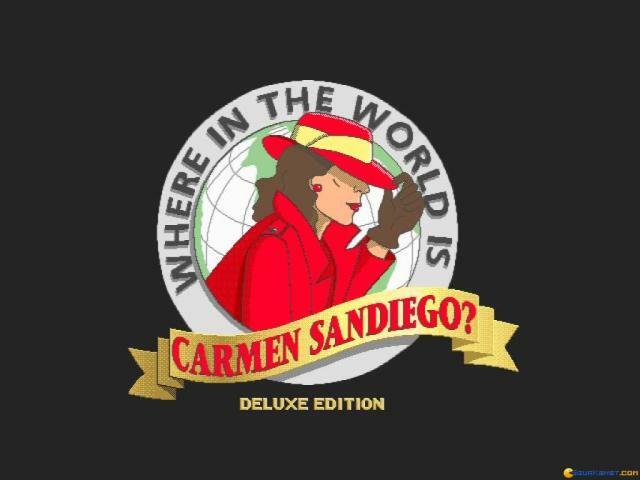 and Where in Space is Carmen Sandiego? 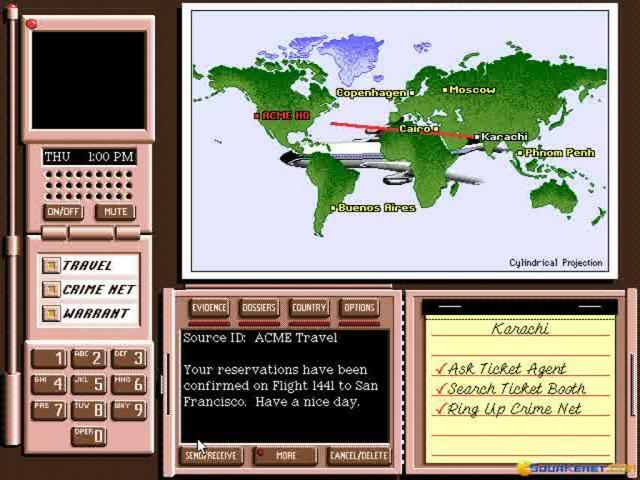 Most of the games follow a similar pattern and aim to teach younger players about geography, history and other such subjects by putting them in the role of a detective on the trail of the elusive Ms. Sandiego and her henchmen. This deluxe version of one of the earlier adventures is basically a flashier update that adds in a few features to an already good game, but if you have played it before there isn't that much new to interest you. 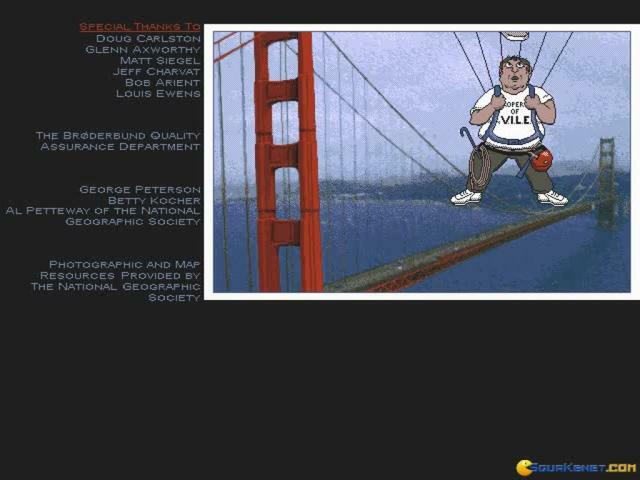 The story remains the same and sees the player chasing Sandiego around the world, following the clues that lead them to another criminal and eventually they should be able to issue a warrant for their arrest. A time limit adds to the challenge while other features like promotions and geography quizzes add to the appeal. 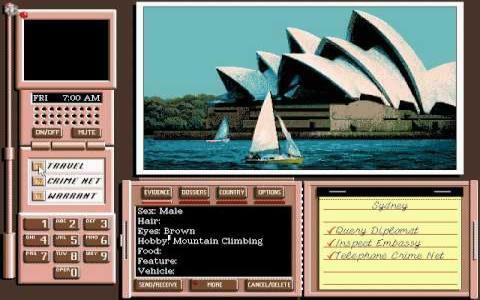 The changes to the gameplay are fairly superficial, with things like an altered interface and changed animation, while bonus material includes the likes of photos from National Geographic magazine and music from the Smithsonian archives. Some new locations are thrown in as well, which increases the already not inconsiderable challenge of the game. While the additions might not be earth-shattering stuff, they do improve what remains an enjoyable slice of puzzling which is perfect for families to check out together. 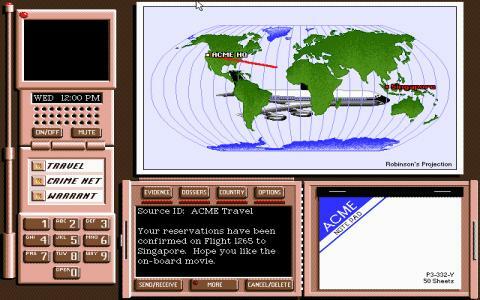 This is the same Where in the World is Carmen Sandiego? game, the same edutainment suite, however, it has a better interface as well as a few additional animations and some small fixes. 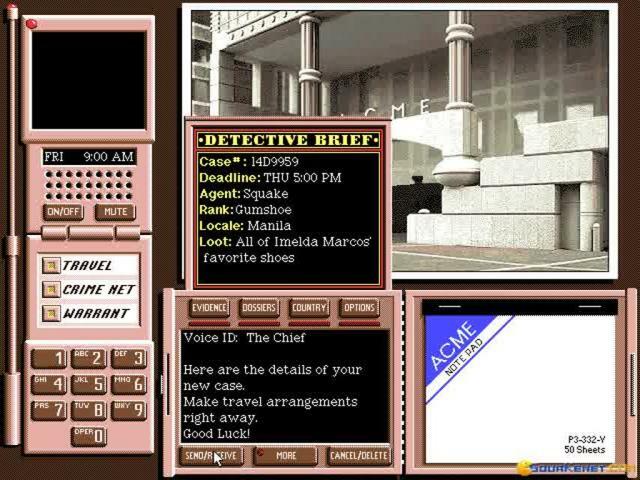 Other than that it is the same game that set out to teach kids geography, while chasing for Carmen Sandiego, the well known thief of the series. Another major addition for this version was the introduction of dialogues spoken by voice actors, though not for the entire host of text in the game. There are still speech balloons that remain text only. The quality of the sound bites is ok, though, but if it bothers you it can be turned off. Just like the original, a cool thing shared by both versions, of course, is the sheer diversity of cities included, which can really paint a very detailed picture of geographic locations to children. You will visit Kabul, San Francisco, Brazil, Copenhagen, Nepal, Thailand, London, Zeeland, Nairobi, etc. So, for children and for parents with children this is a really good edutainment game, even more so than the original as it is marginally more playable and cleaner from bugs. Give it a try and download it!